You'll visit kid-friendly attractions like Lady Bird Johnson Wildflower Center and Texas State Capitol. Venture out of the city with trips to San Antonio (The Alamo, The San Antonio River Walk, & more). Plan for a day of cool, family-friendly fun on the 3rd (Fri) at Typhoon Texas. Next up on the itinerary: admire the natural beauty at Zilker Metropolitan Park, take in the exciting artwork at Harry Ransom Center, look for gifts at Central Market, and pause for some photo ops at Stevie Ray Vaughan Statue. To see traveler tips, ratings, other places to visit, and more tourist information, you can read our Austin online trip planner . London, UK to Austin is an approximately 13.5-hour flight. You can also do a combination of flight and car; or do a combination of flight and bus. Due to the time zone difference, you'll gain 6 hours traveling from London to Austin. When traveling from London in May, plan for much warmer days in Austin, with highs around 34°C, while nights are a bit warmer with lows around 21°C. Finish your sightseeing early on the 7th (Tue) so you can travel to San Diego. Kids will enjoy San Diego Zoo and Torrey Pines State Natural Reserve. Go for a jaunt from San Diego to Encinitas to see Self Realization Fellowship Hermitage & Meditation Gardens about 46 minutes away. There's much more to do: get in on the family fun at SeaWorld San Diego, pause for some photo ops at Cabrillo National Monument, learn more about the world around you at Birch Aquarium at Scripps Institution of Oceanography, and see the interesting displays at USS Midway Museum. For reviews, other places to visit, and more tourist information, read San Diego trip planner. You can fly from Austin to San Diego in 4.5 hours. Other options are to drive; or take a bus. You'll gain 2 hours traveling from Austin to San Diego due to the time zone difference. When traveling from Austin in May, plan for a bit cooler days in San Diego, with highs around 25°C, while nights are about the same with lows around 19°C. Finish up your sightseeing early on the 14th (Tue) so you can go by car to Los Angeles. 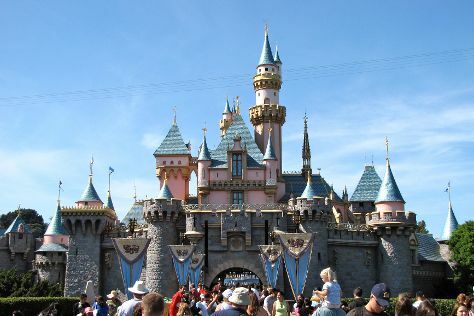 Bring the kids along to Disneyland Park and The Getty Center. Explore Los Angeles' surroundings by going to Anaheim (Disney California Adventure Park & Downtown Disney). Pack the 17th (Fri) with family-friendly diversions at Universal Studios Hollywood. The adventure continues: look and learn at Griffith Observatory, explore and take pictures at Staples Center, take in the waterfront at Santa Monica Pier, and get a new perspective on nature at Natural History Museum of Los Angeles County. To see more things to do, traveler tips, ratings, and more tourist information, use the Los Angeles route builder . Traveling by car from San Diego to Los Angeles takes 2.5 hours. Alternatively, you can take a bus; or fly. Expect a daytime high around 28°C in May, and nighttime lows around 17°C. Finish your sightseeing early on the 22nd (Wed) so you can travel to Yosemite National Park. Attractions like Fishing Charters & Tours and McGurk Meadow make great kid-friendly stops. Spend the 28th (Tue) exploring nature at Elizabeth Lake, Yosemite National Park. Spend the 30th (Thu) exploring nature at Bridalveil Fall. 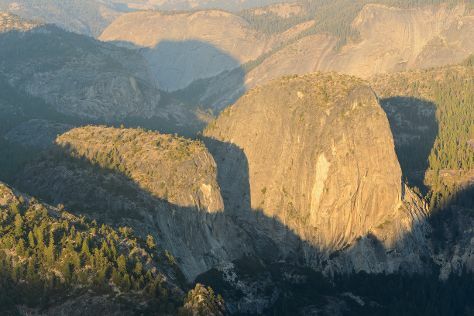 There's still lots to do: take in the dramatic natural features at Glacier Point, snap pictures at Pohono Bridge, don't miss a visit to Yosemite Conservation Heritage Center, and take your sightseeing to a higher altitude at Cathedral Beach Picnic Area. For other places to visit, traveler tips, and more tourist information, use the Yosemite National Park day trip app . Getting from Los Angeles to Yosemite National Park by combination of flight and car takes about 4.5 hours. Other options: drive; or do a combination of flight and bus. Expect a bit cooler weather when traveling from Los Angeles in May: highs in Yosemite National Park hover around 21°C, while lows dip to 1°C. Wrap up your sightseeing on the 30th (Thu) early enough to drive to Carmel. Carmel-by-the-Sea, often simply called Carmel, is a city in Monterey County, California, United States, founded in 1902 and incorporated on October 31, 1916. 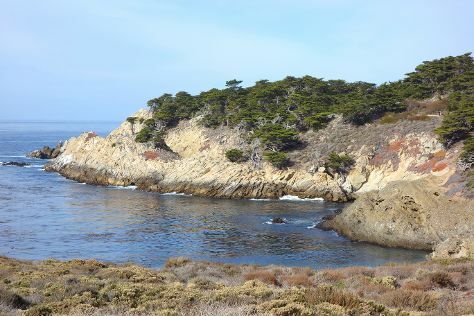 On the 31st (Fri), get to know the fascinating history of Pacific Grove Oceanview Boulevard and then immerse yourself in nature at Point Lobos. Get ready for a full day of sightseeing on the next day: meet the residents at Monterey Bay Aquarium and then contemplate the waterfront views at Monterey Bay. For photos, more things to do, reviews, and more tourist information, use the Carmel trip planning app . You can drive from Yosemite National Park to Carmel in 5 hours. Other options are to do a combination of car and flight; or do a combination of car, flight, and shuttle. Traveling from Yosemite National Park in May, Carmel is a bit warmer at night with lows of 12°C. Cap off your sightseeing on the 1st (Sat) early enough to go by car to San Francisco. Bring the kids along to Exploratorium and Cable Car Museum. 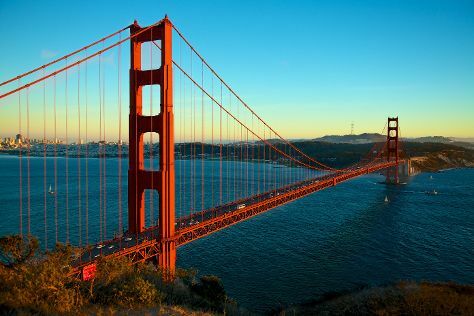 And it doesn't end there: take in the views from Golden Gate Bridge, tour the pleasant surroundings at Crissy Field, don't miss a visit to Golden Gate Park, and go for a walk through Fisherman's Wharf. To find where to stay, ratings, traveler tips, and more tourist information, read San Francisco online tour itinerary builder . You can drive from Carmel to San Francisco in 2.5 hours. Alternatively, you can fly; or take a bus. In June, plan for daily highs up to 25°C, and evening lows to 15°C. Finish your sightseeing early on the 9th (Sun) so you can travel to Seattle. Bring the kids along to Space Needle and Pike Place Market. And it doesn't end there: see the interesting displays at The Museum of Flight, stroll through Woodland Park Zoo, take in nature's colorful creations at Bellevue Botanical Garden, and contemplate the waterfront views at Hiram M. Chittenden Locks. To find ratings and more tourist information, use the Seattle trip itinerary planning app . Traveling by flight from San Francisco to Seattle takes 4.5 hours. Alternatively, you can do a combination of train and flight; or drive. In June, daily temperatures in Seattle can reach 27°C, while at night they dip to 16°C. Finish your sightseeing early on the 14th (Fri) to allow enough time to travel back home.